This albumen silver photograph with extensive hand coloring was copyrighted by P. Relyea, registered on October 11, 1879. Peter Relyea was the undertaker chosen by the New York City’s Board of Aldermen to conduct Lincoln's New York City funeral. 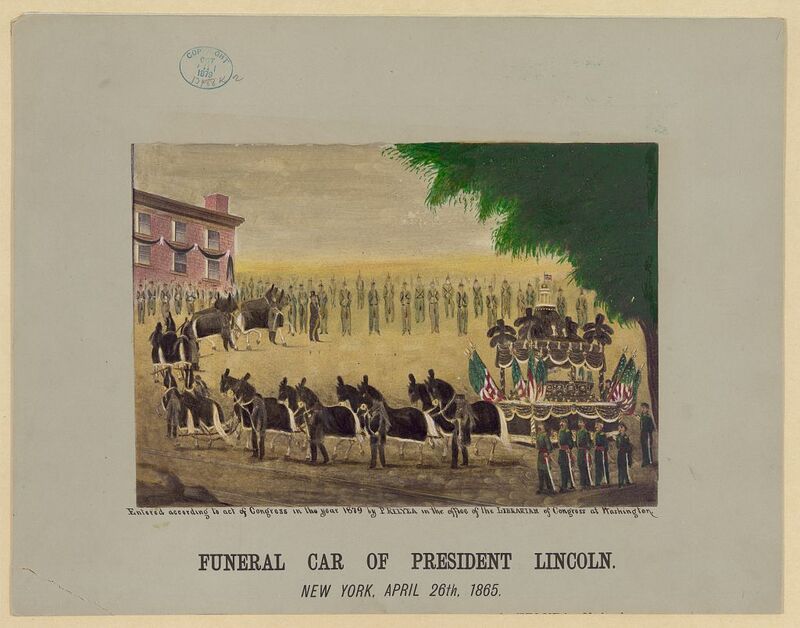 Relyea designed Lincoln's elaborate catafalque used for the procession.